If you are going to be in the south of Israel, there is a nice hike from the Timna valley through Nahal Mangan climbing onto the Milhan ridge; from there you can descend and camp at the Milhan well. This area gets less than 100mm of rain per year but in March, we saw a lot of plants in bloom for a desert. The Silon Kotzani (Zilla spinosa) is a perennial but only lives a couple of years dying from drought or flash floods. 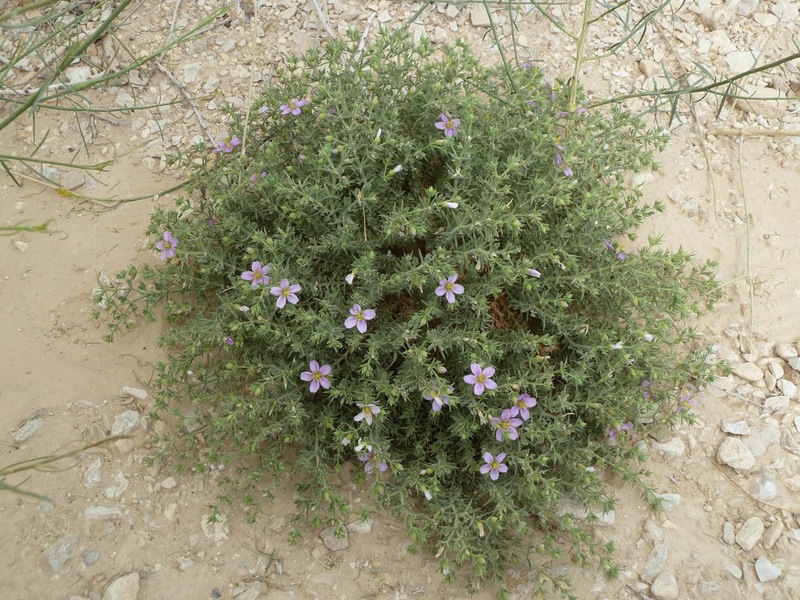 The plant grows into a sphere of stems and thorns that is typical of thorny plants in the desert. The peak of its flowering is March, afterwards it dries up. The small purple flowers are edible and have a mild cabbage taste. When dry the stems of the bush can be used as kindling to start your campfire. 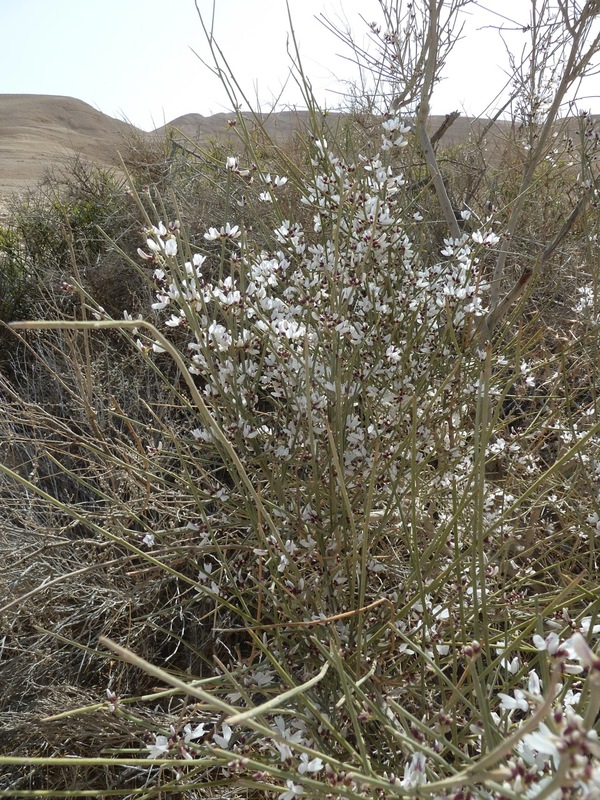 The White Broom, Rotem HaMidbar (Retama raetam) was blossoming, bunches of small, delicate white flowers. This is the bush under which the prophet Elijah sat. 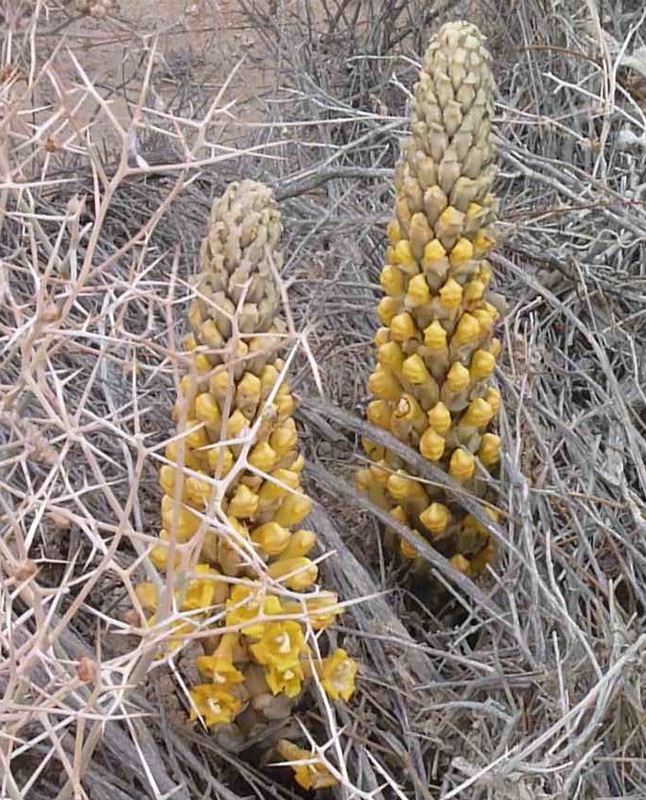 The Broomrape, Yahnuk HaMidbar (Cistanche tubulosa) is a parasite that grows on and gets its nourishment from the roots of other plants. There are no leaves, just a spike of yellow flowers. 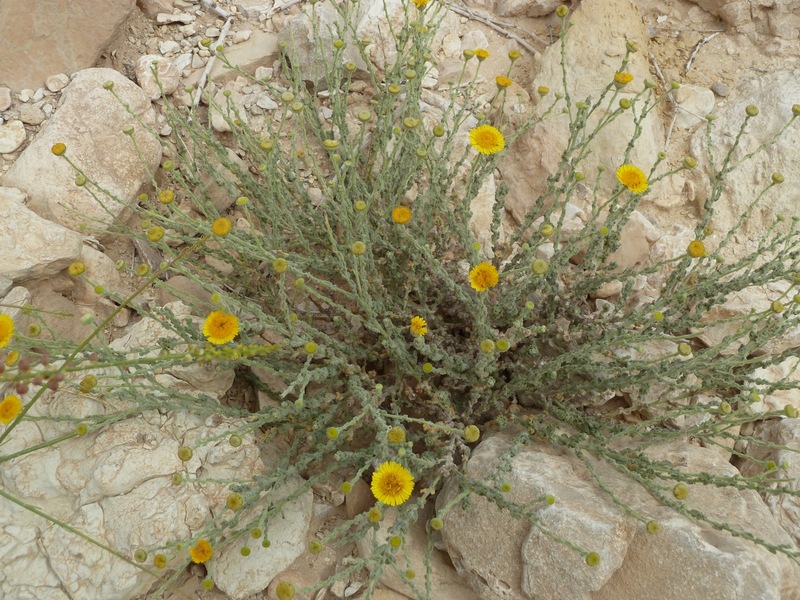 Parosheet Galonit (Pulicaria desertorum) is a low-lying plant with yellow flowers that grows in desert areas. The leaves and flowers can be used to make tea, the plant has a pleasant scent. Lotus HaMidbar, Desert Lotus (Lotus lanuginosus) is a low-lying perennial with small red flowers that grows in desert areas. 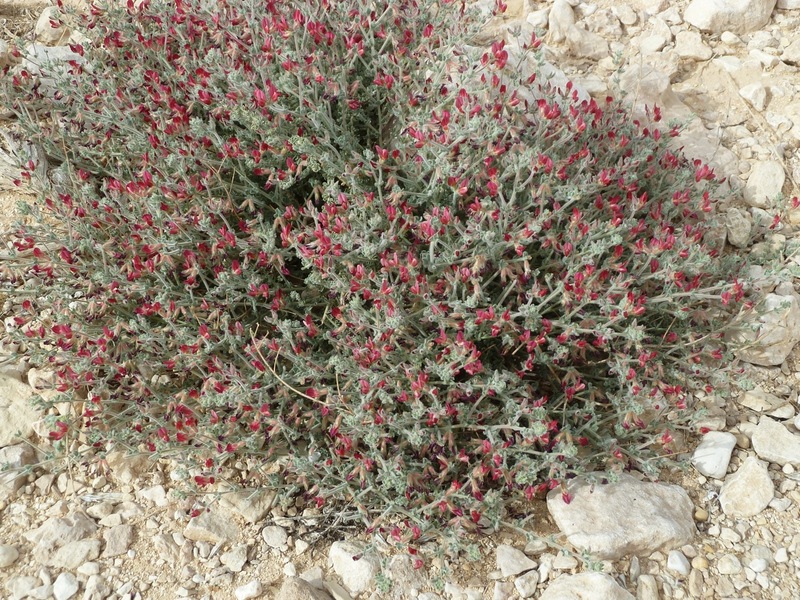 Fagonia Rakah (Fagonia mollis) is one of the typical and most widespread plants that grows in the desert. 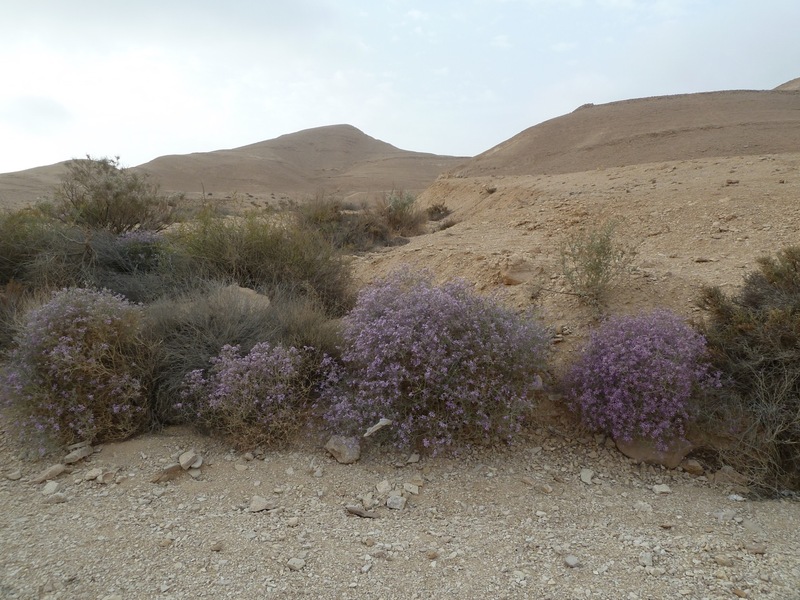 This entry was posted in Hiking, Nature, Wildflowers and tagged Arava, desert, desert flowers, Hiking, Negev, postaweek2011, Wildflowers on March 14, 2011 by Shmuel Browns.